Todd Klein walks us through Comic-Con. Plus: Robert Sikoryak parodies Trump, San Diego Police, beer for the thirsty con-goer. And the winner is…: The Eisners are tonight! Our own Brigid Alverson will be live tweeting the awards show and the results on our Twitter feed @smash_pages. The Eisners are scheduled to begin at 8 p.m. Pacific. 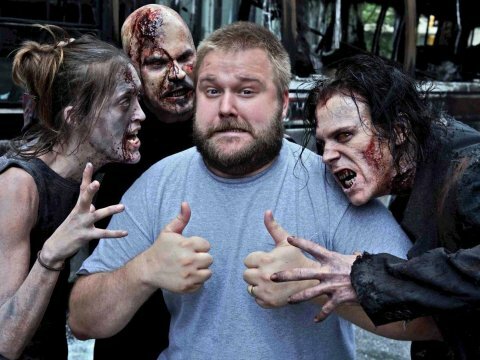 The Walking Dead will die: Creator Robert Kirkman has confirmed that the Walking Dead will have an ending. At the Walking Dead panel in San Diego, Kirkman told fans, “I think about two or three years ago, I had a pretty good idea for a definitive ending. I have known that since then and been working towards that, so I know exactly where I’m going and what’s going to happen when I get there.” He expects the series will wrap up in the next 2-3 years.